This is one of the most fun and unique ways you boys can spend a little time together before you hit the pubs and clubs of Nottingham. 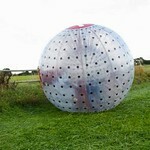 Zorbing is one of the craziest and fun things that you can do to make your stag do a very memorable one. 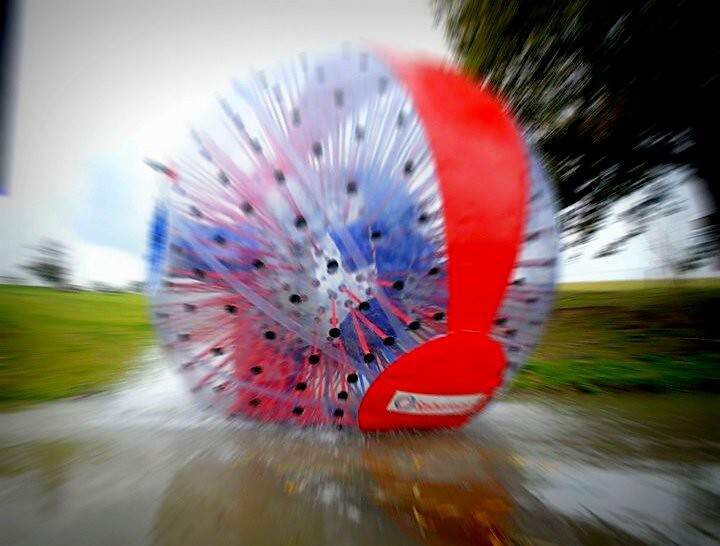 What in the blue hell is zorbing? 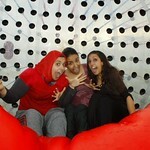 Well it’s when you go inside a giant inflatable ball, kind of like one of those things that hamsters like to go in. That is probably the best way to think of it. You then get to run around like a headless chicken and have just so much fun. 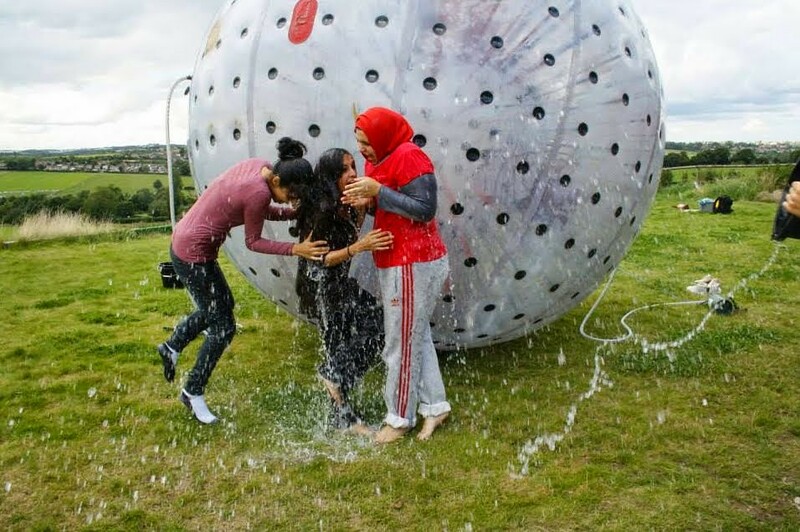 There are many places to go zorbing in the UK, but what makes this one different is that as well as getting to do it on the ground you get to do it in water as well. Let me tell you if you ever wondered what it would feel like to be in a washing machine well now is your chance. 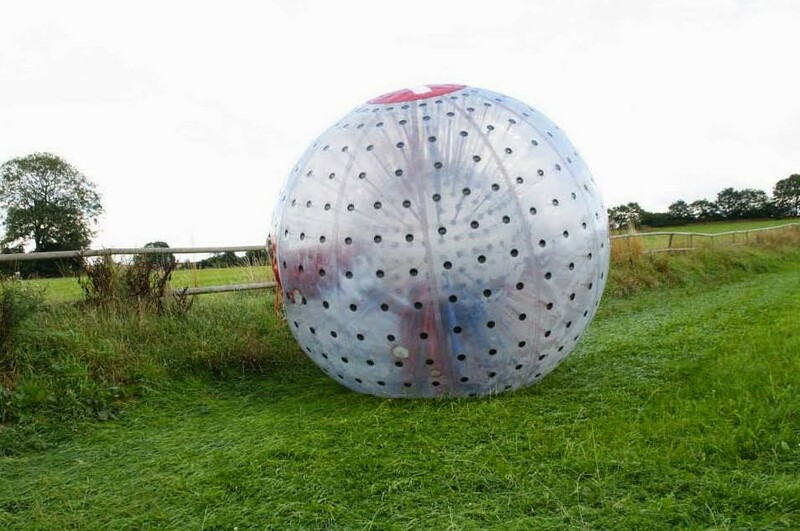 One thing that is great about zorbing is that just when you think you have mastered it and that you are in total control and you can make it go where you want and how fast you want…… you lose control and start just rolling all over the place. This is very funny, especially for your mates who are looking on. When you are on the water it’s a really weird feeling to be well for lack of a better term, walking on water. I am not saying you will feel like Jesus or anything, but it’s just so freaking cool! 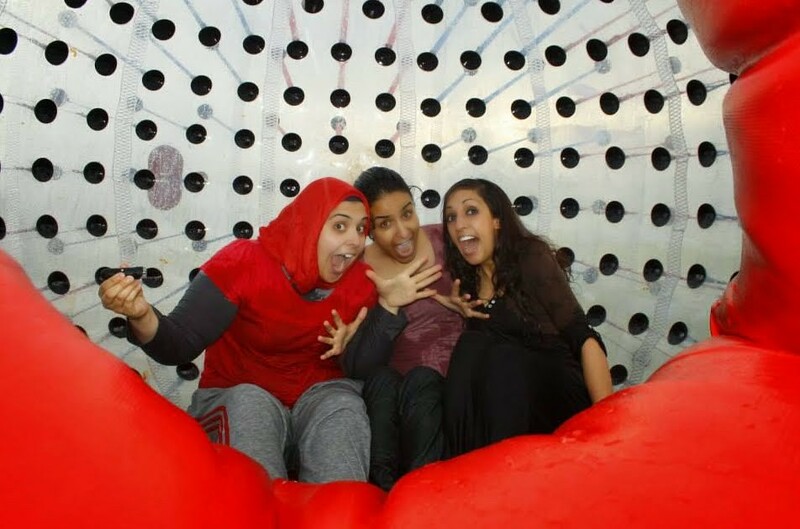 The water inside while you are zorbing makes it even more unpredictable as you will really struggle to keep control. One thing for sure is make sure you bring a change of clothes as there is no way in hell that you are avoiding getting wet! 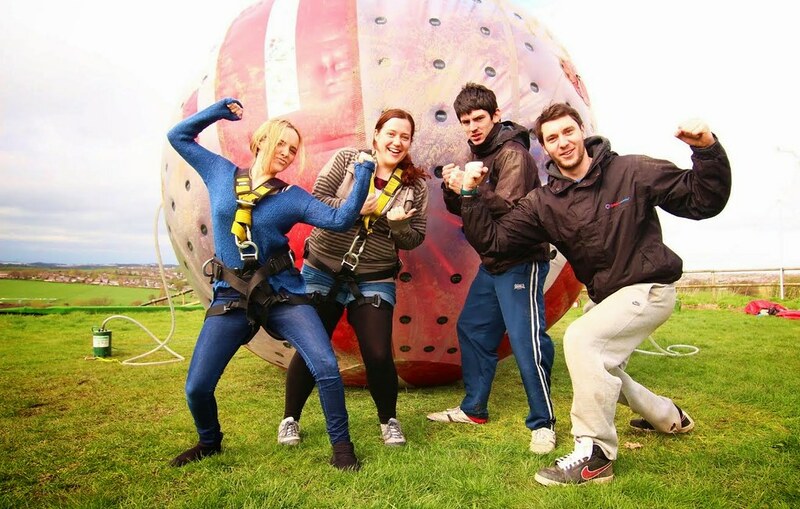 This is just the perfect stag do event for you guys who want to spend an hour or so doing something a little crazy, a little different, but a whole lot of fun! 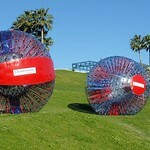 Now there may be some of you people out there who are a little “scared” about rolling around in a giant ball with water. 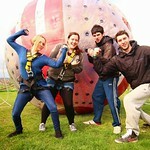 But these guys genuinely do have the best health and safety record of any zorbing company in the UK. 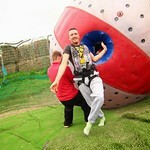 They will make sure you know what to do and that you are in good hands the whole time you are zorbing. 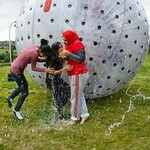 Now as much funs as this is there are a few restrictions you cannot take part in zorbing if you, have ever had whiplash, suffer from regular headaches, have neck or back issues, had any serious bone breaks, had any kind of surgery within the last year, are drunk or under the influence of another substance. They will let you know when you call, but there are a few restrictions so just keep that in mind. 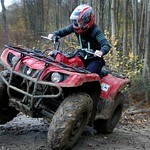 It’s fun, it’s crazy and a great way to spend the day before you hit the town in the night. 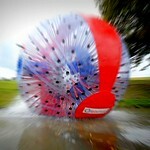 You get to know how your pet hamster felt when you “accidently” put him in the washing machine. It is just as much fun watching your buddies do this as it is taking part yourself. 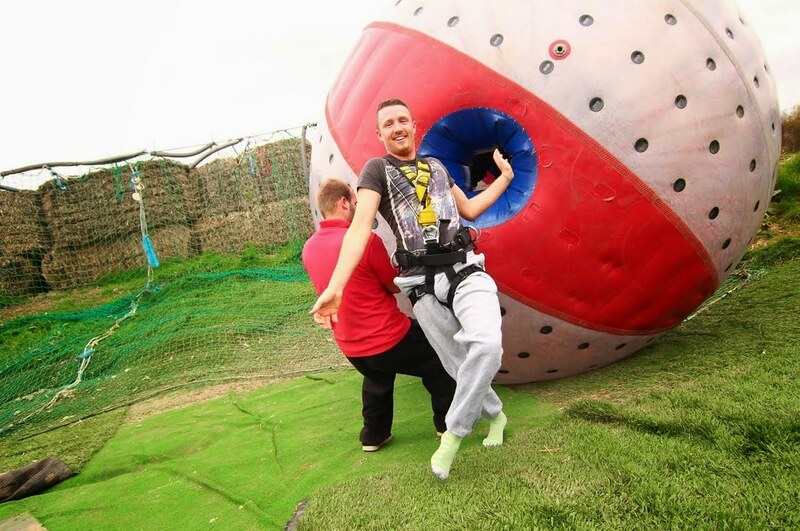 Let’s take your stag party to another level with this incredible artificial man made course in an ideal Nottingham location! 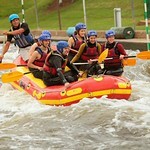 You’ll be put to the test as you and your stags fight to stay in the raft!